There is no popcorn involved in the making of this Popcorn Chicken. You can simply pop it into your mouth as if it is popcorn, and it is definitely coated in butter. But otherwise, it is nothing like popcorn. So sorry for any confusion. 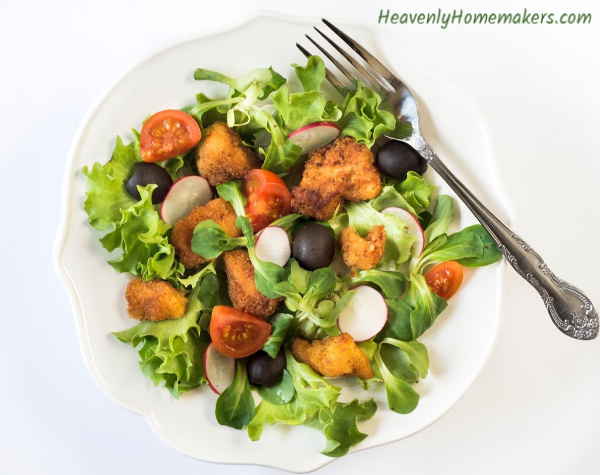 This Popcorn Chicken recipe was one of the very first I shared here back in 2009. 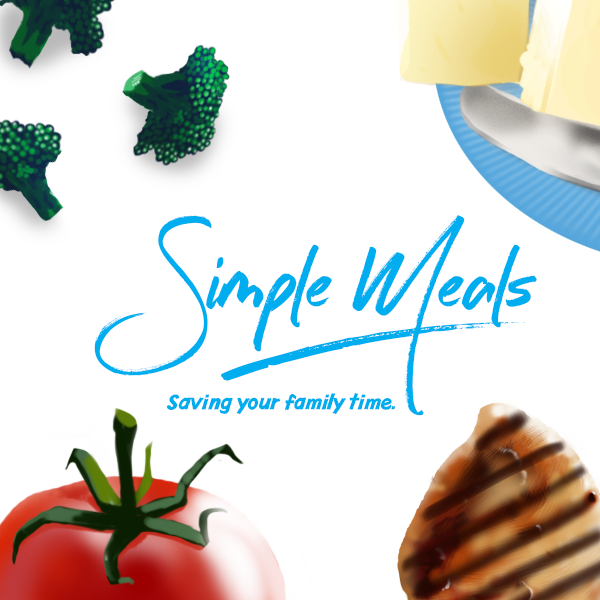 I’m sharing it again today and adding it to our Simple Recipes list because this is one of those recipes we all need in our hip pocket! This Simple Popcorn Chicken tastes good hot or cold. I do prefer it hot, but made ahead and packed cold in a lunch box? Still great! 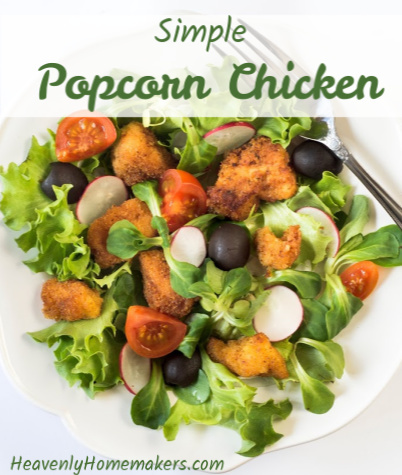 We love eating this Popcorn Chicken as-is with a few fruits and veggies on the side. But it’s also amazing in a tossed salad! In a medium-sized bowl stir together flour, salt, and garlic powder. Using kitchen shears, cut chicken into tiny bite-sized pieces. Pour coated chicken into the dish, spreading so that they are in a single layer.